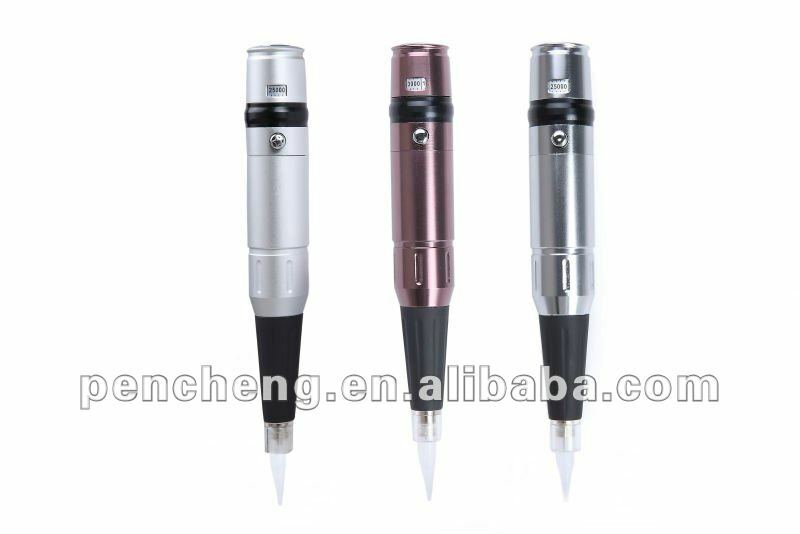 3.with a professional case Features: rotational stability, excellent electrical quality, excellent design and work. 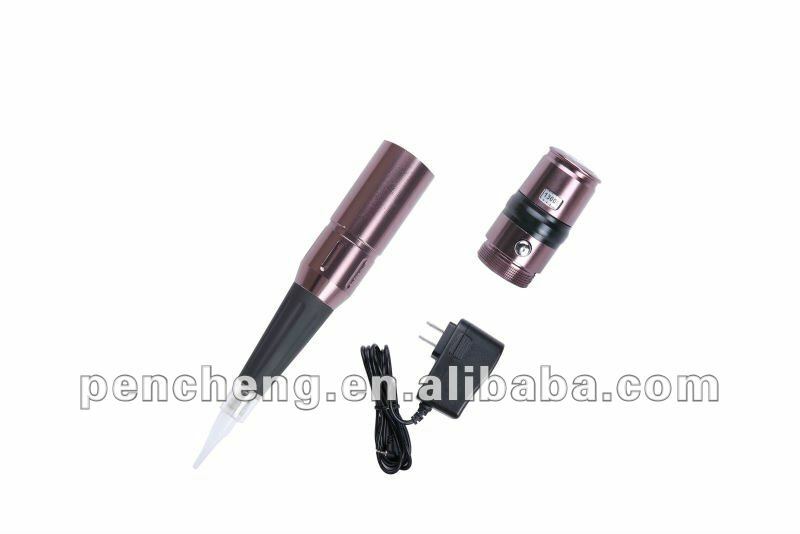 the max speed is more than 31000/min,the min is 10000/min, suitable for eyebrows, eyelids and lips,also for small tattoo design. This set contain:1pc machine & 1pc Adaptor &2pc ink Ring &5pcs 1round needle &5pcs 3round needle&5pcs 1round tips &5pcs 3round tips &1pc BT Black box Adaptor specification: input:100-240V 50/60Hz OUTPUT:DC4.2V 1A Needle modle:1R,3R,5R,7Round needle,5F,7Flat needle. black’s part is rotary,white’s part Digital display. 4 Color: coffee, gray, silver. you can choose what color you like. Attention: 1, Idling for about 10 seconds to make sure electric conduction is good before use. 2, Please screw the holding tip and you'll see the needle tube. 3, Please make the needles bent a little before inserting the needle. 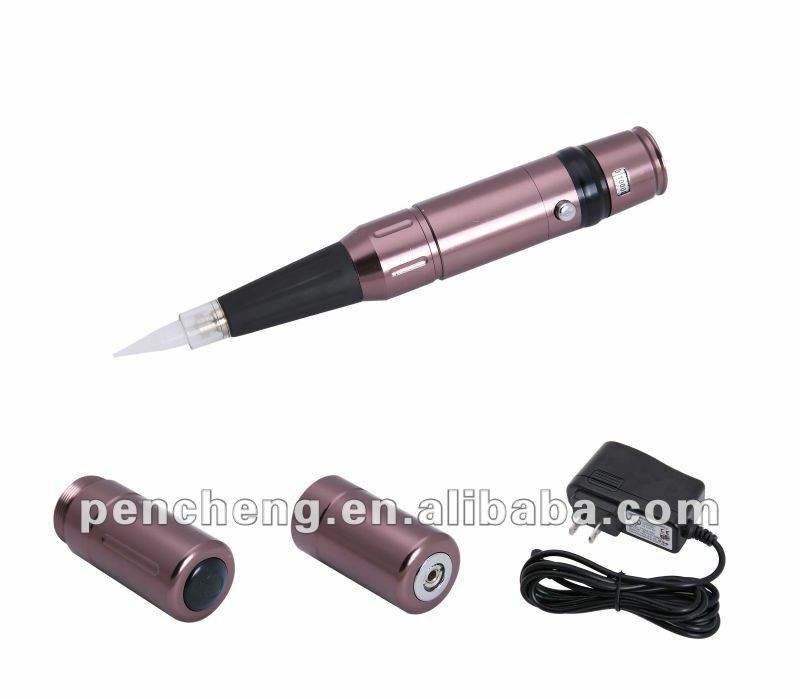 Do as the folowing picture shows(bent at 1/4 point): 4, To avoid the pen being overheated, please stop using for about 10 minutes after a complete tattoo eyebrow. Notice: 1.Machines do not heavy fall or collision. 2.Lacquer area do not use volatile liquid is wiped, With a soft cloth to wipe. 3.Please don't use of other company's parts, installation into this company Makeup Machine. Avoid machine damage. 4.use " baby Oil" every time after changing transmission to protect your machine. 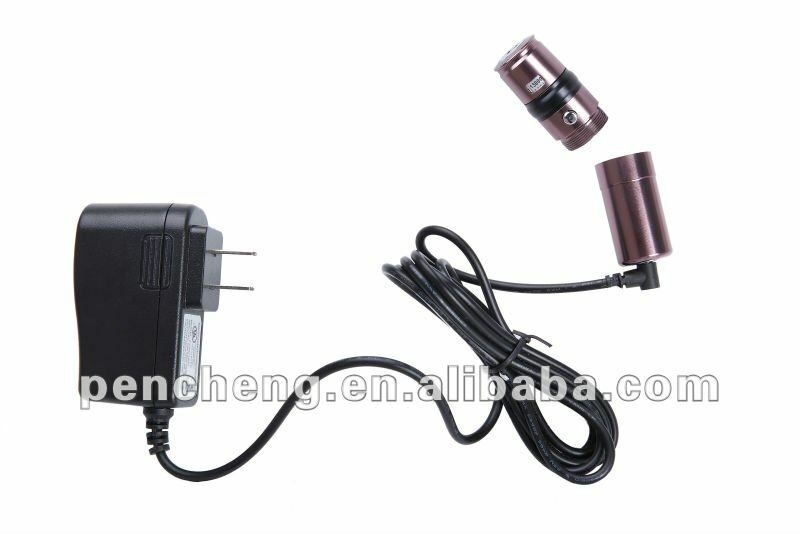 Contact us if you need more details on Rechargeable Kit of Tattooing Eyebrow. 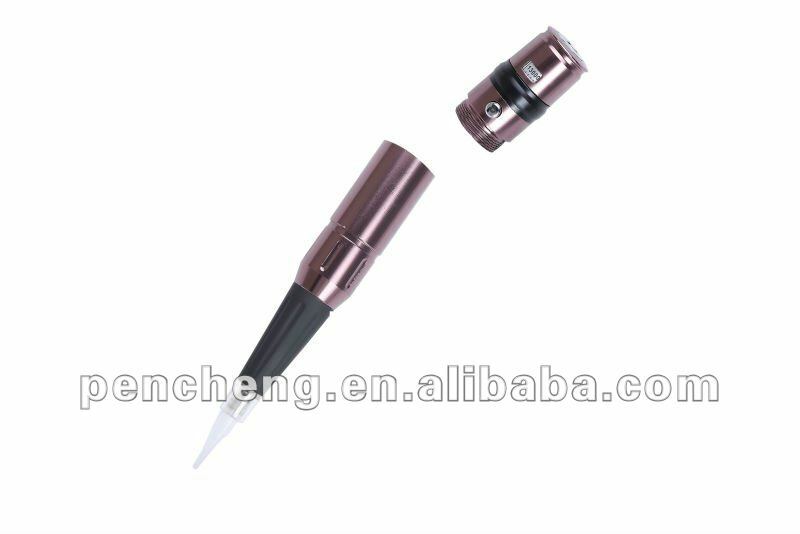 We are ready to answer your questions on packaging, logistics, certification or any other aspects about Hihg Quality Permannent Makeup Tattoo Kit、Newest High Quality Permanent Tattoo Kit. If these products fail to match your need, please contact us and we would like to provide relevant information.